Tomorrow beer comes back to New West! This time it is just Craft Beer instead of one of the big Macro Breweries. 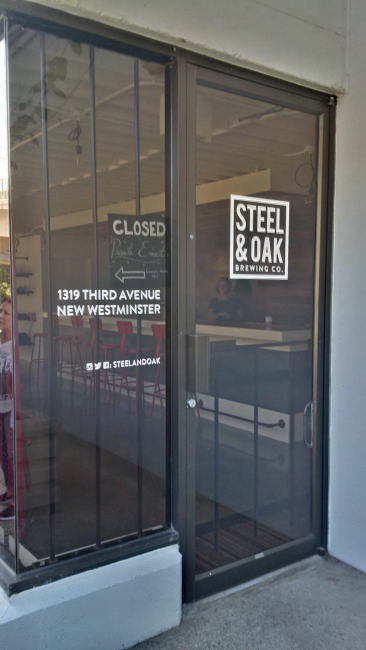 Steel & Oak Brewing Co is the latest brewery to enter the Craft Brewing craze in BC. 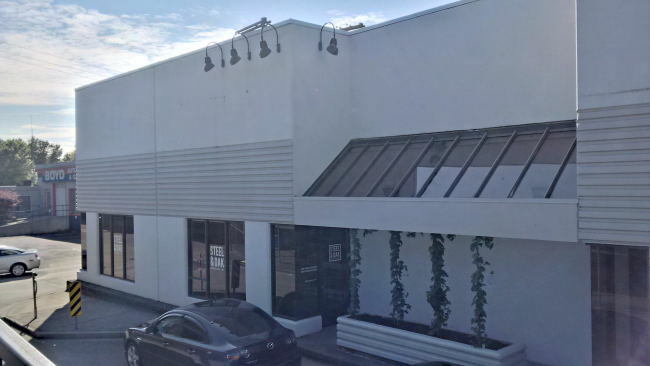 Located fairly close to Downtown New West the brewery is going to enjoy lots of repeat business from both New Westminster natives and people that would ride their bikes or take transit. Being part of their founders club I was able to get a sneak peak at the brewery as well as 80 other people. When you walk in the front door you are greeted by an awesome space. The whole tasting bar, wall covering, ceiling and one bar along the window are built out of reclaimed lumber some even coming from the old house of one of the owners. They also have a bunch of merchandise from glasses and shirts to sweaters and hats. The sell both 64oz (1.89L) and 32oz (1L) growlers and fill them from a proper PEGAS growler filler. A visit to a brewery is not finished though when you check out a tasting room. Walking through the doors into the brewery you find a small brew house with lots of room for expansion! They only have 4 fermentors now but that will be changing very fast as has been observed everywhere else in BC. Guess it makes sense that they have decided to go with 4 core beers to start! I can not wait until I can refill my Founders Club Growler coming up this week! The brewery opens up tomorrow Tuesday June 23, 2014 and you really should head over and check it out! They have three beer pouring for the opening in their Red Pilsner, Smoked Hefe and a Dry Hopped ESB. All are great and I can’t wait until I can get more! This entry was posted in Brewery and tagged beer, brewery, craft beer, craft brewery, growler, new west, new westminster, steel & oak brewing co, steel and oak brewing.